This listing is for 100 units. Uniquely shaped & sized boxes for all those hard to package odds & ends, from the perfect sized mug box to the original sized boot box. 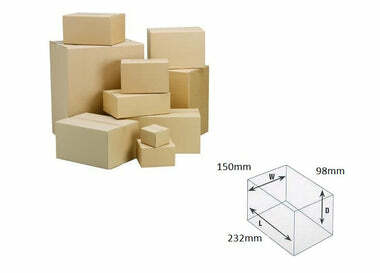 Self-locking lids ensure no tape is required to keep the boxes closed, making them quick to assemble & easy to manage. They are made with a layer of corrugated board that is sandwiched between 2 layers of quality cardboard to create a super strong carton.